This complete set of seven Prenatal Classes are your supportive companions. Practice to any of these specially designed classes anytime & throughout the duration of your pregnancy. Covering the fundamentals of posture & breath-work, postures for birth-preparation, lateral stretches & hip-openers, energy-building, core & sacral stability for birth, plus 2 x restorative sessions for those tired days. Created by renowned Byron Bay teacher Ana Davis - she brings her highly-in-demand skill & expertise to you, wherever you are. No previous yoga experience required. 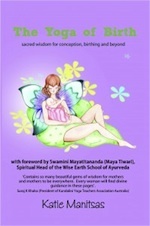 A power-pocket, this eBook has compiled short practices, notes and handy tips essential for pregnancy. 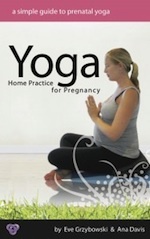 Enjoy several different short yoga practices from co-authors, Ana Davis and Eve Grzybowski - offering fitness, relaxation, and even alternative relief to suit different stage, sensations, and energy-levels throughout your pregnancy. Foundation, Breath & Posture: Ideal for you in the 2nd or 3rd trimester, this class provides you the foundation for posture & breath-work during your pregnancy. Guided by Ana Davis, particular emphasis is on being connected to your breath, spinal limbering, & stretching both sides of your body. The level of this class is gentle to medium.